We know what lovely cards everyone can make be they professional or beginners! 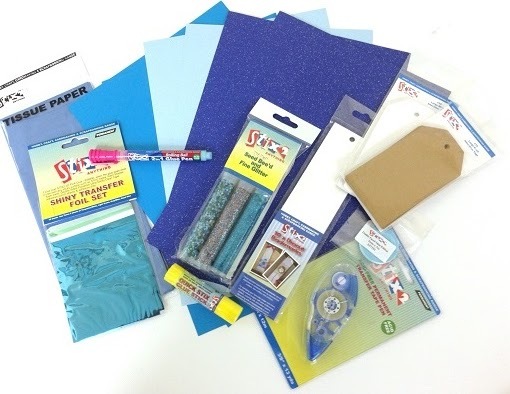 We'd like to see that special Father's Day Card you can make incorporating Stix2 into it!!! Email or post us your Father's Day Card for your chance to win this lovely selection of Stix2 products. Here is a lovely How to for making a 3D floral applique for your tote bags. 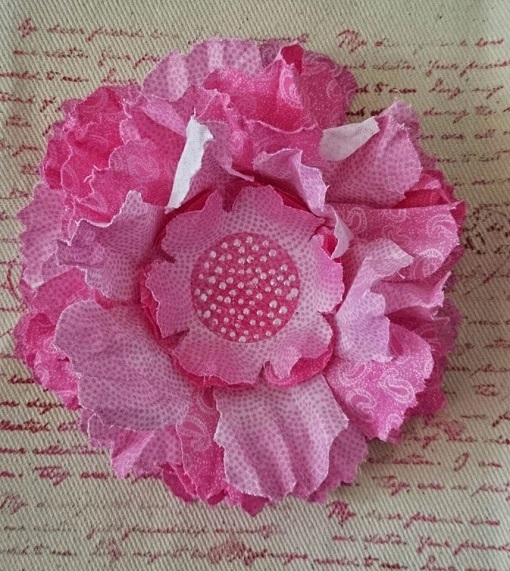 Cut 7 large flowers and 7 small flowers in you desired fabric and colours. Punch or die cut circles to fit the size of the center of the flowers. Using the Die cut release sheets helps remove the punched pieces from your punch. Distress the petals on each flower with crafter's ink. Put your Iron on high heat and start layering the flowers on top of each other. Do this one at a time with a circle of fabric adhesive in between each. Only hold the iron for 5 to 7 second in between each flower. 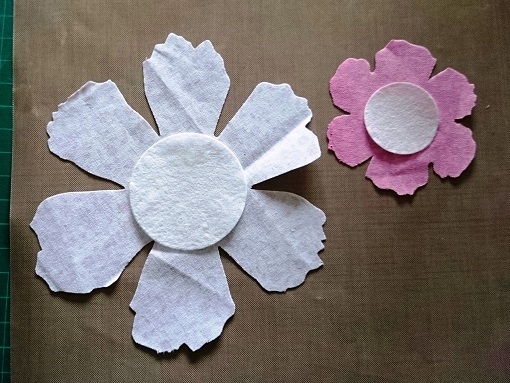 Cut an extra small flower circle and cover it with the crafter's ink this will create the centre of your flower. Place this in the center and cover with parchment paper, Iron on and wait to cool before removing the parchment. Scrunch up each layer into the center and release each layer to get the tattered look.